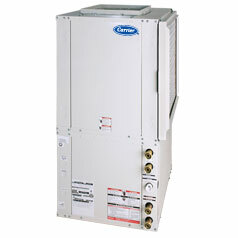 Carrier is one of the best names in the heating and cooling industry. 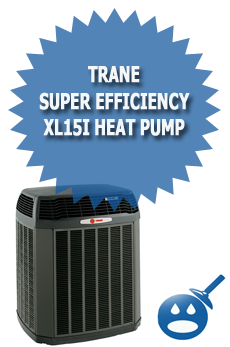 With winter fast approaching, let’s take a look at one of Carrier’s premier heat pumps. 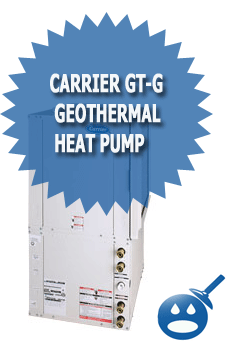 The Carrier GT-G Geothermal Heat Pump is one of the best in the Carrier inventory. This pump has a classic design that gives the homeowner a quality heat pump with a high efficiency. 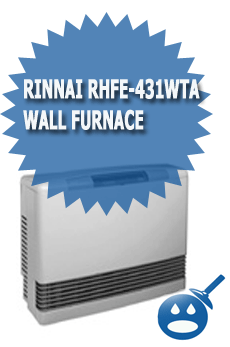 In this Series of Heat Pumps there are three models to choose from. A geothermal heat pump is basically a ground source heat pump that is driven by electricity from their natural heat storage ability of the earth and the groundwater from the earth. The Geothermal GT-G pump works by transferring one source of energy to another. For example, the energy comes from the ground then the energy is transferred to the home to provide heating and cooling. All three models have a modern yet classic design and they all offer an 18.5 EER and a 3.8 COP, which is a closed loop, and up to 23.9 EER with a 4.1 COP and an open loop. All three models contain humidity and temperature control systems that are perfect for safety as well as it is cost effective. The GT-G Geothermal Heat Pump has a Coated Air Coil that ensures the pump a long life. Other heat pumps become corroded over the years and soon parts have to be replaced and in severe situations the pump has to be replaced. But with the Coated Air Coil, this will eliminate that problem. You can enjoy many years of your Heat Pump. The three heat pumps offer a single stage scroll compressor for better performance. In smaller heat pumps a rotary compressor is used. The pump cabinet is insulated for protection and to help reduce the noise level. You can have your choice of a variable speed or a single speed blower. The 50YCV has up to 18.5 EER closed loop technology with an open loop of up to 23.9. The pump also includes a 10-year warranty on the compressor and the refrigeration unit. Plus 5 years on the other pump parts. The 50YCV has an Energy Star Rating. The pump has been properly sized for perfect installation. It is best that a Carrier technician install the heat pump, they are more familiar with the system. The 50YCV offers a quiet running pump and it uses a R-22 refrigerant. The heavy-duty cabinet is constructed with galvanized steel and it is has a powder coated white for protection. The 50YCH and the 50YCD have a closed loop of up to 3.8 and an open loop of a 4.1 cop. The 50YCH has an Energy Star Rating of 14.1 efficiency one of the best in the industry. The 50YCH has also been sized to ensure proper installation. These pumps offer a heating capacity of 11,200 to 70,200 Btu’s per hour. The cooling capacity has a range of 2 to 5 tons. The coils are protected with a Steel Louver Coil Guard. The heat pump is installed outside so Carrier has ensured that these pumps are well protected with a design that was created to help you save money. Which Type Of Home Heating Is Best? I am fascinated by Carriers claim that they can provide a component to a ground based geothermal system that will eliminate the hot water heater. How is this done? Do they use a separate compressor? Is this an on-demand system with no storage? This could be a real incentive. It sure is a nice unit for sure. Thanks for the nice and warm comments.